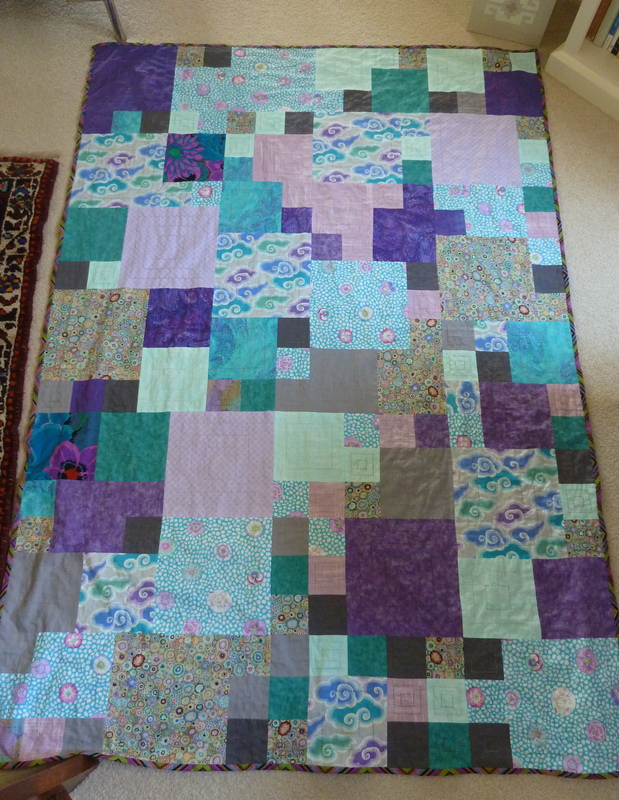 I’ve finished the coverlet I started in January. It’s all bound, washed, ironed and I’m using it and it feels so soft and lovely. 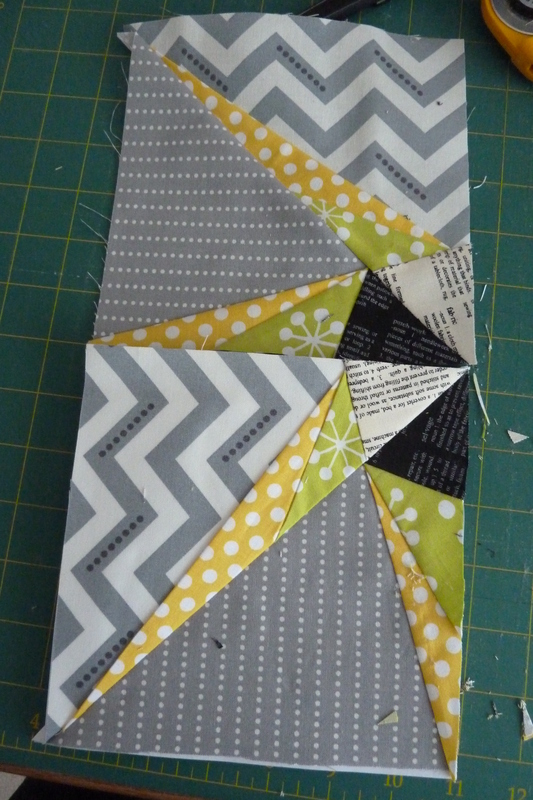 Now I’m working on some foundation paper pieced stars from Don’t Call Me Betsy’s 2013 and 2014 Lucky Star Club. Here’s where I’m up to so far. I’ve done two quarters of the practice star. 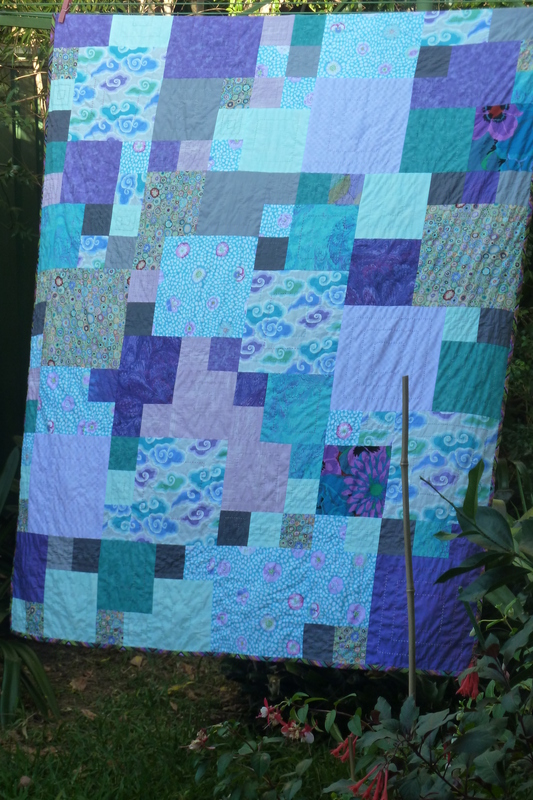 All the fabric for the coverlet came from my stash and scraps and all the fabric for this first star also. I didn’t buy any fabric in January at all. 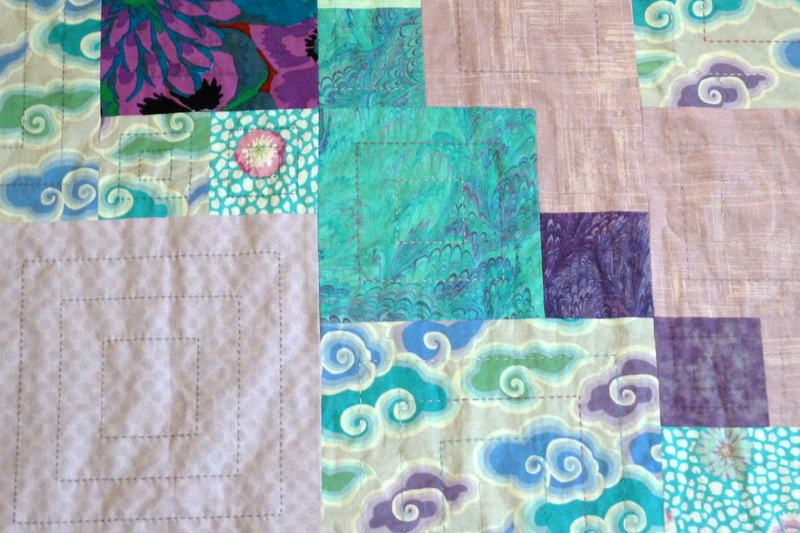 So far in February I’ve bought 1.6m of an Echino extra wide bird print that was only $16.80 per metre. I’ll tally up at the end of the month and donate 50% of my spend to charity as I promised.